Pregelatinized starch is a starch that has been pre-cooked, dried and ground into flake or powder form. Quickly and easily dissolving in cold liquids, pregelatinized starches allow products to develop full viscosity without cooking. Pregelatinized starches are convenient and easy to use, providing an ideal solution for products such as instant soups, baby foods and baked goods. PREGEL MAIZE STARCH is manufactured by pre gelatinisation of Maize Starch. It is used in the food and pharmaceutical industries. PREGEL TAPIOCA STARCH is manufactured by pre gelatinisation of Tapioca Starch. 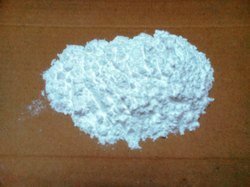 It is used in the food and pharmaceutical industries.